Exit onto I-70 West. From I-70, exit Sheridan Boulevard. Head North on Sheridan Boulevard to 73rd Avenue. 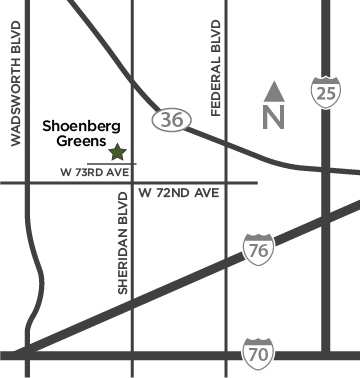 Turn left onto 73rd Avenue, and Shoenberg Greens is located on the right hand side.